Mazzy Star have announced the release of a new EP Still, which is out on June 1 on Rhymes Of An Hour Records / Distributed by INgrooves Music Group. 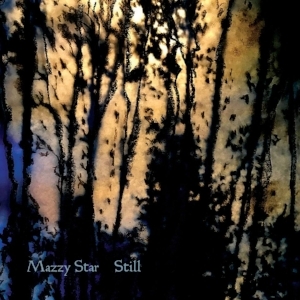 Still is a 4 track EP and is the first new music from Mazzy Star since 2014. The 12″ includes three new tracks along with an alternative version of ‘So Tonight That I Might See’ from the artists biggest selling album of the same name from 1993, which also featured the seminal hit record ‘Fade In To You’. The band is performing for the first time in Australia - with three shows at the iconic Sydney Opera House on June 11, 12 and 13. For almost 30 years, California’s Mazzy Star - Hope Sandoval and guitarist David Roback - have been the enigmatic heart of the underground psychedelic music scene. The band released their fourth studio LP Seasons Of Your Day in 2013, preceded by She Hangs Brightly (1990), So Tonight That I Might See (1993) and Among My Swan (1996). Still is the beloved band’s first release since 2014’s “I’m Less Here”.